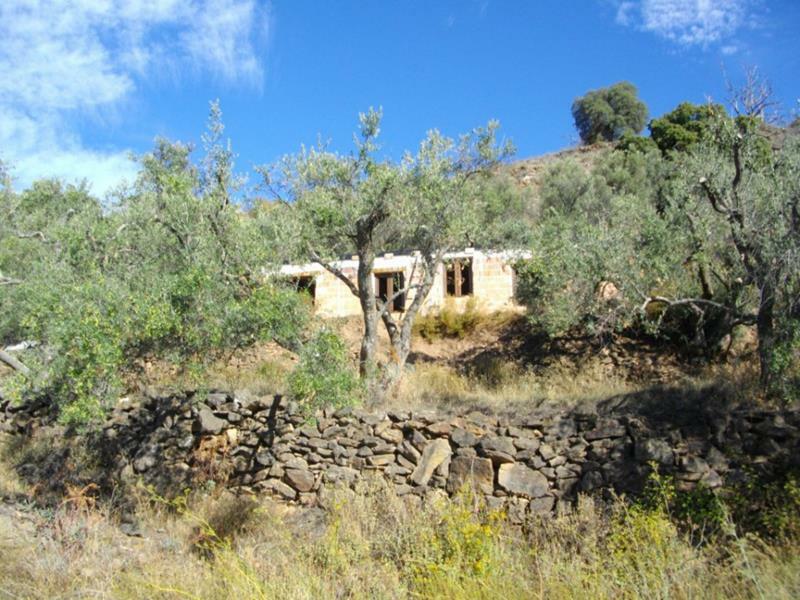 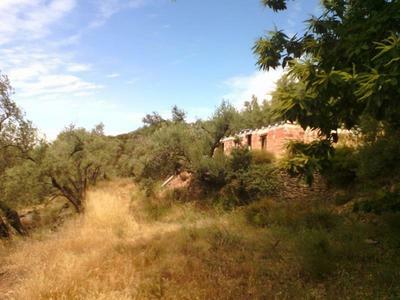 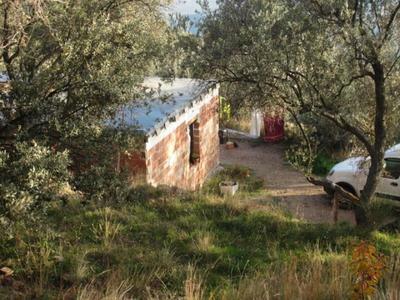 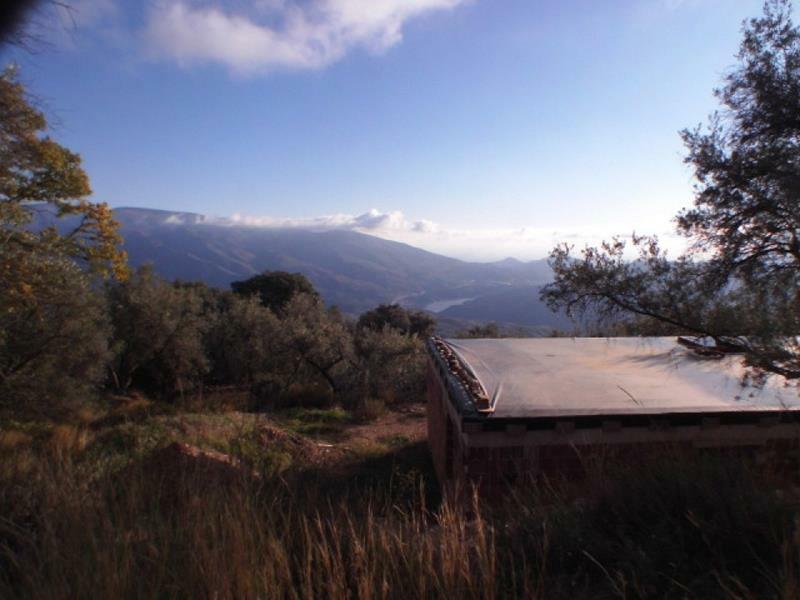 Above Lanjarón, accessed by a steep concrete road about 10 minutes from the town, a half finished house is for sale on a plot of 9.600 m2 with many trees. 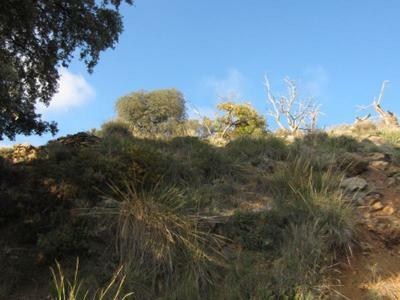 On clear days, the Mediterranean Sea is seen. 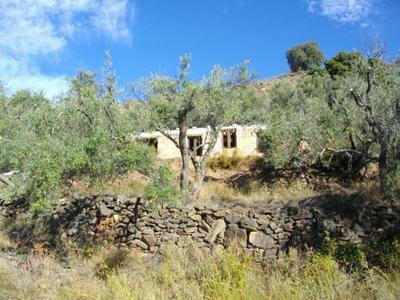 The location is at 1000 m altitude with beautiful views of the natural surroundings and mountains. The house is newly constructed with building permission but officially a 'nave' - an agricultural building. 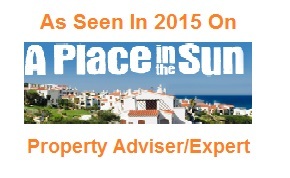 It is possible to change the status to 'vivienda' or dwelling but this will involve some paper work. 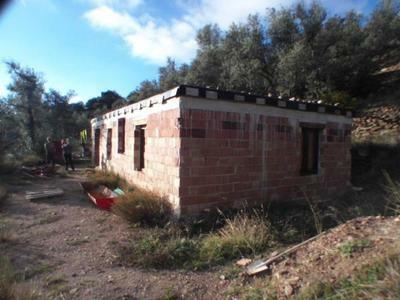 A bathroom is officially planned, the piping in place, but not yet realised. 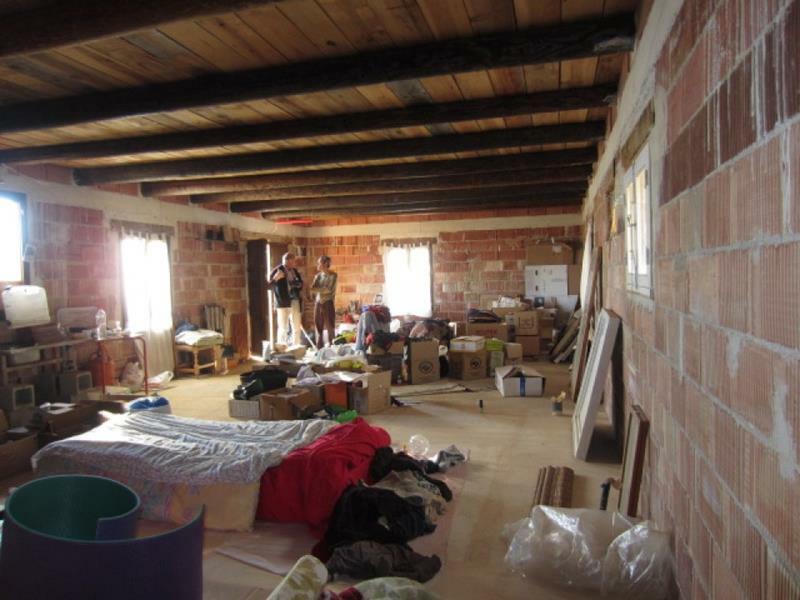 There should be enough space for two bedrooms. 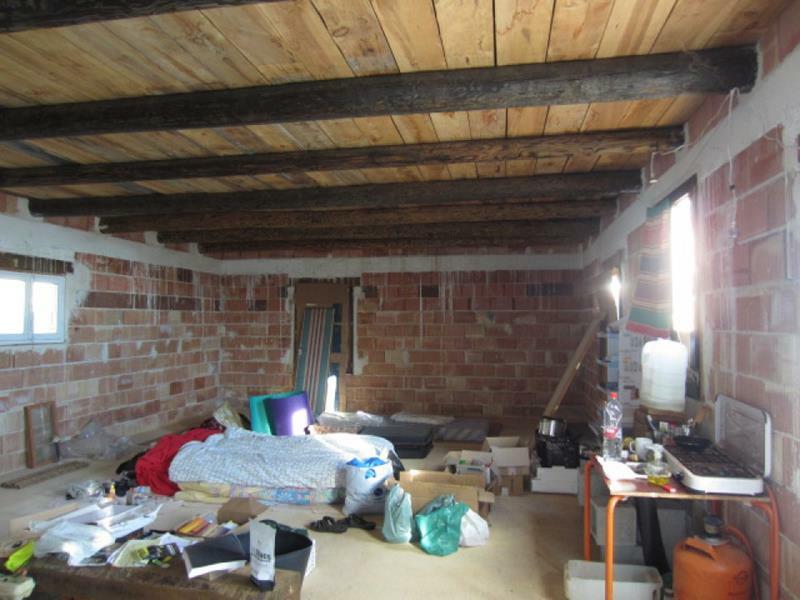 An interesting object for someone wanting to finish the house in their own style. 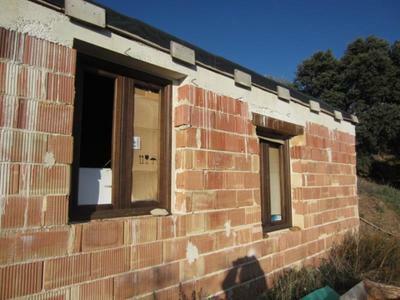 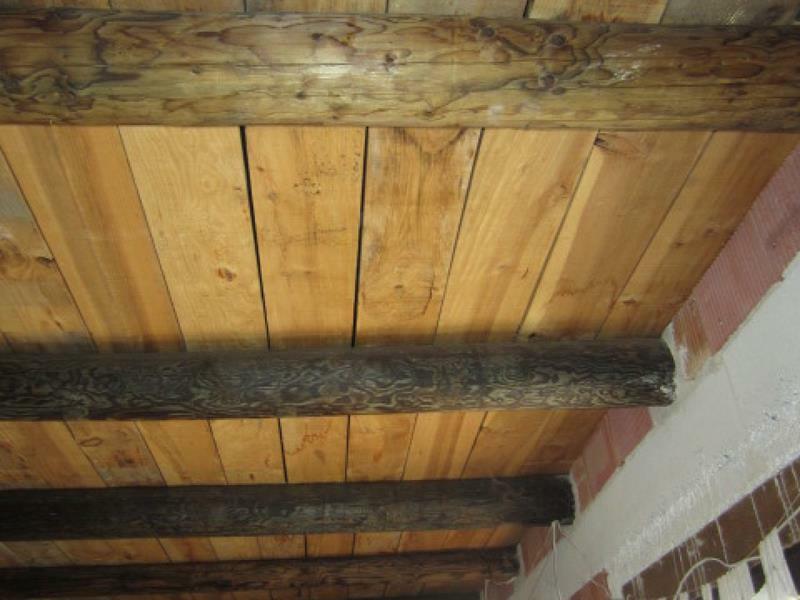 The construction is sound, isolating thermo bricks are used and the flat roof is made with traditional beams. 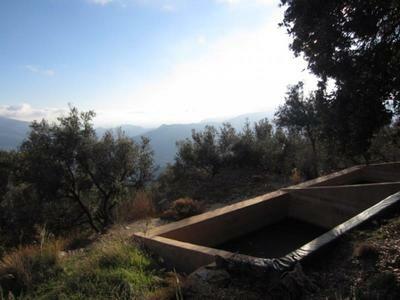 There are two new water deposits to collect water from the acequia (traditional water channels). Electricity is provided by solar panels.